In a world where political candidates build campaigns around the word “work”, where the existence of universities is vindicated by what kind of employment graduates may have access to and in a reality where people spend more time in the workplace than home, it is surprising that we don’t question the nature of work more often. Why, we must ask ourselves, do we spend so much time working but long for vacations, holidays and ultimately retirement? Why is it that we silently go about our whole lives working without giving more thought to how and why we must work, and finally why do we not stop and contemplate if meaningful work, as a human right, involves that work is meaningful on its own and therefore adds value to mankind, or if in the other hand, it is the active involvement of humans what grants meaning to toil. Work as a social, political and legal concept requires more thought and contemplation, not only because we must have a richer perspective in terms of our relationship with employment and satisfaction but because the coming generations are challenging and rethinking the nature of productivity, mobility and success in life. As employers, we must more often focus in one of the biggest costs of producing goods and services (the pay roll) and must ask ourselves how and why, we must favor efficiency and flexibility as opposed to presencialism and outdated methods. As labor and employment consultants we have frequently experienced positive results when giving employees more of a say so in how to perform their duties, in how employer may evolve and improve, and by making sure the personnel has actual opportunities to personally and professionally grow. In the end, the contemplative action regarding the meaning of work and its repercussion in human behavior is not only overdue psychologically and philosophically, but is actually something that impacts our clients, companies, cities and countries. We hope that more employers give thought to these concepts and ultimately to how and why employees can work better for an enhanced meaning of work and profit for both, employer and employee. Social Security, Employee Benefits and the Risk of not Insuring Employees in Mexico. The day to day operations of a labor and employment firm are filled with some very consistent and repetitive inquiries such as social security, worker’s compensation, general insurance, minimum mandated benefits and over all employee costs in Mexico. For employers and international investors, it is essential to point out that full compliance in all abovementioned areas, along with transparency in Mexico is obtainable and surprisingly viable if analyzed and implemented correctly. In the US for example, when occupational injury or illness arises, employees may receive worker’s compensation benefits to replace lost wages and to help pay for medical expenses. This is just one of those “employee costs” that all employers entertain and that must be factored in to be able to analyze the viability and overall cost of business. Understanding the depth and cost of employer responsibility in terms of mandated benefits and social security is at large, one of the most important elements of hiring employees in Mexico. Per Mexican law, everything that the employee is entitled too and everything that is binding for employers is centered, handled and paid unto one government institution which is the National Social Security Institute or “IMSS” (Instituto Mexicano del Seguro Social). It is mandated that all employers must register under the Mexican Social Security Institute which provides governmental full medical care, out-patient, maternity, disability and injury care to all workers registered therewith alongside retirement, pension plans and even day care centers for working mothers. Social Security services are paid for through fees or quotas funded both by employees and employers via withholding which is one of the primary obligations of all employers when disbursing salaries. Other than the obligation to register all workers under IMSS, these social security fees are essential to compliance and workplace stability because they replace workers comp, 401 K and retirement (all other insurance and benefits) whilst allowing employees to have all health, maternity, injury and disability benefits while IMSS pays for wages during medical care or approved absences. It is important to consider this trade off (a single payment), seeing that there is only one legal social security administrative system, which maintains free of charge medical clinics, hospitals, childcare and eligible services to employees and their families. IMSS also pays for a percentage of an employee’s salary in the event of a job-related accident illness or temporary/permanent disability and grants assistance to beneficiaries in case of a work-related accidents or death. Having a working knowledge of how much “overhead” this social security cost will bare in relation with the pay roll and how this can help a company is paramount for all investors and employers in Mexico. IMSS being a competent authority to audit and impose fines on employers for non-compliance is also very important to note, as a single levy for not observing employer social security obligations could mean millions in losses alongside compliance issues. Mexico´s Best News of 2017, The Labor Reform. As with every transformation, the labor reform of 2017 will come with its fair share of naysayers, but there is no way around it: this radical conversion of the labor justice system is the best thing to happen to Mexico, commerce and business over all. For reader’s sake a little bit of history must be shared in order to understand why labor disputes in Mexico are not a part of the traditional justice system. Much like in the U.S, per the separation of powers the authority to decide cases and controversies is vested in the Judicial branch headed by the Supreme Court and inferior courts established by the Constitution on both Federal and State levels. For one hundred years all matters including financial, governmental, regulatory or any other associated to the administration of justice has been controlled by this Judicial power, except for one particular area: Labor disputes. Due to concrete conditions in Mexico back in 1917, derived from years of civil and revolutionary war, the overall distrust of the justice system that was seen as part of the status quo that favored the wealthy elites, and doubtless, many injustices suffered by the en-masse population, there was a necessity to create an alternate three-way system to guarantee justice in regards with labor and employment matters. The concept of this model meant that controversies where to be voiced not before a judge, but through an arbitration board composed of three agents representing a) the employer b) the employee and c) the government (president of the board), which in the end would resolve all disputes over a majority vote through an informal arbitration procedure. Through this innovative system, all prosecutions where not resolved by one judge but by three agents to maintain fairness and objectivity in regards with the working class. The end result was Labor boards that materially administered justice, but were formally placed under the Executive power both at Federal and State levels. In today’s circumstances labor boards across the country suffer from insufficient funding from governments to be able to guarantee a correct administration of justice and therefore have become fertile grounds for rampant corruption. Low salaries for employees, not enough personnel, enormous amounts of files in progress and miniature budgets to upkeep buildings have the boards in a state of near abandonment. As far as personnel, there is virtually no training and thereafter plenty of uncertainty for employers and employees with substantial or potentially expensive matters tried before the boards. In some critical states like Quintana Roo local governments have used the labor boards to illegitimately organize and implement corrupt schemes to charge employers with ridiculous amounts of money or even in some cases illicitly strip them of property. Over all, the lack of regulation and accountability for board officials and an outdated system with low wages has made firms and counselors innovate in terms of legal prevention as to avoid litigating at all costs to escape pricey legal exposures. might not be the final step, it is indeed a much needed first step that must be taken in this endeavor. In regards with the administrators of justice and people working within the justice system, this will necessarily mean more training, increased liability, better facilities and hopefully an increased sense of pride in the Job. For Labor Judges this will mean social, legal and economic recognition that will also entail increased liability and restrictions when dispensing with impartiality. In elevating the living standard and public standing of employees that will from now on work in labor courts we hope for better human resources, increased competition and legitimacy in all processes. For the private sector, both employees and employers should benefit from a heightened sense of justice in the system. Employers should consider implementation of due diligences to catch and correct practices or policies that are not in compliance with legal statutes or international compliance whllst an increased set of restrictions should bring about a much-needed amount of scrutiny, but also security and stability when litigating without the usual grind of trying to avoid fraud. As labor and employment consultants we urge all employers to keep fighting labor injustice “inhouse”, and to envision the management of human resources as a means to avoid controversies and costly litigation. One thing that our current system has taught employers is the value of “prevention”. This crucial part of doing business in Mexico should not be forgotten or overlooked even after this legal reform. As I said before, there will be a lot of comments surrounding this labor reform but all businesses, foreign investors, and any and all interested parties should not lose sight of one thing: with all the news and political hype surrounding 2017, this is the best thing to happen yet this year. 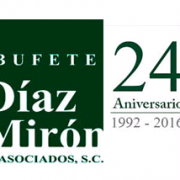 Juan Jose Diaz Miron S.
https://www.leaders-in-law.com/wp-content/uploads/2017/05/JUANDIAZ-150x190.png 190 150 leadersinlaw https://www.leaders-in-law.com/wp-content/uploads/2017/11/logo-horizontal-white-transparant.png leadersinlaw2017-05-25 15:27:202017-05-25 15:28:47Mexico´s Best News of 2017, The Labor Reform. Keeping it simple and being productive in Mexico. Keeping it simple and being productive in Mexico. A basic guide to the legal principles of Mexican labor and employment law. Understanding Mexican Federal Labor Law requires recognizing two undisputable facts: 1) It is part of a coded legal system (opposed to common law) where all regulations and by-laws are contained in one central governing statutory law, and 2) it is intrinsically an act that was passed in post-revolutionary Mexico (1900´s) when serious offenses, abuse and exploitation of workers occurred. Thereafter, it must be viewed and explained in lieu of historic circumstances that help vindicate the employee protective nature of its content. Rightfully so, when considering Mexico as an option or when trying to understand labor and employment requirements, one must fathom the following principles under which all employment norms and regulations are established. The workplace stability principle: All labor relations in Mexico are centered on the premise that all employees must be guaranteed permanency and longevity in the workplace. Employers are fairly restrained in terms of available types of contracts, and termination procedures for there is no termination at will. Avoiding labor contingencies requires smart Human Resource strategies upon hiring and terminating as to avoid claims whilst building stable and productive workplaces. The burden of proof principle: Any given individual may claim against any given employer without evidence or just cause. The employer has the procedural burden to disprove or prove otherwise unless the existence of a relation is denied in which case the burden will fall on the alleged employee. This creates the obligation as an employer to document and have command over all elements that govern an employee-employer relation such as: contracts, payment receipts, releases, and any all covenants including resignation papers or termination agreements. Minimal benefits principle: All statutory benefits must be met. Employer can grant further benefits or expand on legally mandated ones but may never decrease legal benefits. Some examples include 15 days Christmas bonus, 6 days of paid vacation after one year of service and a 25% premium on wages for vacation periods. Acquired rights principle: Any expanded, additional or granted benefit beyond minimal ones set forth by law (see minimal benefit principle above) statutory benefits become acquired rights and compulsory for both parties. This is important to take into account when negotiating collective bargain agreements or employee benefit packages. All employers must be conscious when granting compensation or offer letters. Equal liability principle: Employers may utilize third party service providers but will be equally liable for any provision that is not met by employer. No attorney, consultant or advisor should maintain that when utilizing outsourcing companies or third party service providers, labor contingencies may be avoided. Reality is that all businesses with outsourced employees have the obligation to audit providers to make sure that minimal rights principle is met and that all employment obligations are being fulfilled. Failure to do so may result in huge contingencies and legal responsibilities derived from the equal liability act. Undeniable rights principle: Under no circumstance may an employee waive the minimal rights principle and statutory benefits set forth by Federal Labor Law. Employer may never negotiate or accept an employee relinquishing labor rights. All mandated benefits are non-negotiable and compulsory in all labor and employment relations. In Dubio Pro Operario: When there is doubt, the law is not clear enough or there is room for interpretation, employees must be granted the benefit of the doubt. This principle that consolidates the protectionist approach of the federal labor law is the cornerstone for all employer obligations. All employers must have impeccable employee records and must have excellent Human Resource strategies to be able to avoid contingencies derived from this principle and all of the above. https://www.leaders-in-law.com/wp-content/uploads/2017/04/BufeteDíazMirón.png 140 111 leadersinlaw https://www.leaders-in-law.com/wp-content/uploads/2017/11/logo-horizontal-white-transparant.png leadersinlaw2017-04-03 22:25:012017-04-03 22:25:31Keeping it simple and being productive in Mexico.